From the late nineteenth century onwards the concept of Mother India assumed political significance in colonial Bengal. Reacting against British rule, Bengali writers and artists gendered the nation in literature and visual culture in order to inspire patriotism amongst the indigenous population. This book will examine the process by which the Hindu goddess Sati rose to sudden prominence as a personification of the subcontinent and an icon of heroic self-sacrifice. According to a myth of cosmic dismemberment, Sati's body parts were scattered across South Asia and enshrined as Shakti Pithas, or Seats of Power. These sacred sites were re-imagined as the fragmented body of the motherland in crisis that could provide the basis for an emergent territorial consciousness. The most potent sites were located in eastern India, Kalighat and Tarapith in Bengal, and Kamakhya in Assam. 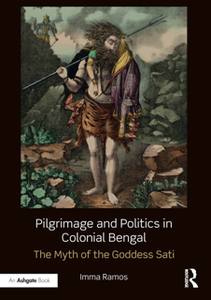 By examining Bengali and colonial responses to these temples and the ritual traditions associated with them, including Tantra and image worship, this book will provide the first comprehensive study of this ancient network of pilgrimage sites in an art historical and political context.